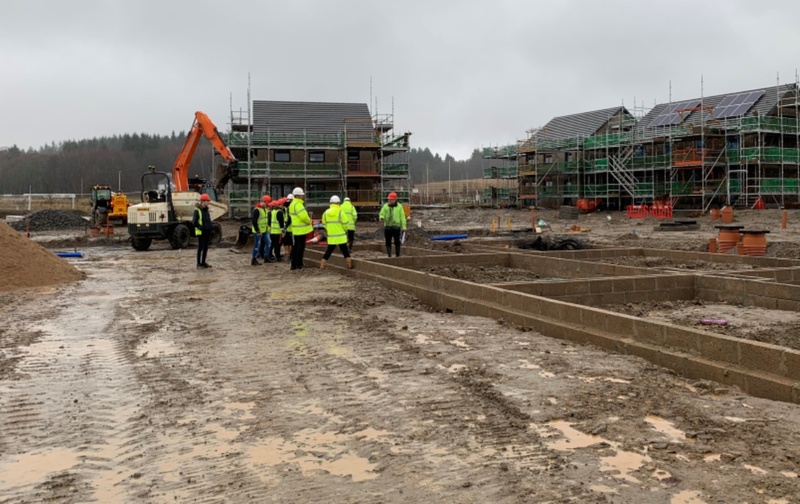 A group of hardy souls from the Scott Sutherland School of Architecture and Built Environment at RGU visited the CHAP site at Countesswells this morning. 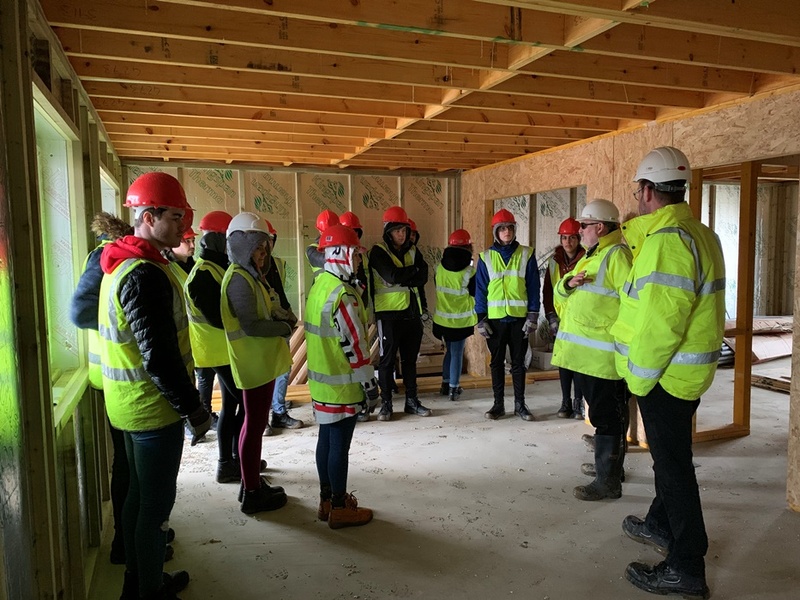 The 1st year Architecture, Quantity Surveying and Construction Management students were taken to see the various stages of construction of the CHAP Homes properties from foundation to fit out. They were also treated to a well deserved hot cuppa and a talk from Karen Watt, Community Liaison for Countesswells Development Ltd about plans for the site as a whole. While the weather wasn’t with us for this particular visit it is always a pleasure welcoming students from RGU onto our sites. We hope you found it both informative and enjoyable (if a bit soggy! ).